July | 2014 | Wine Etc. 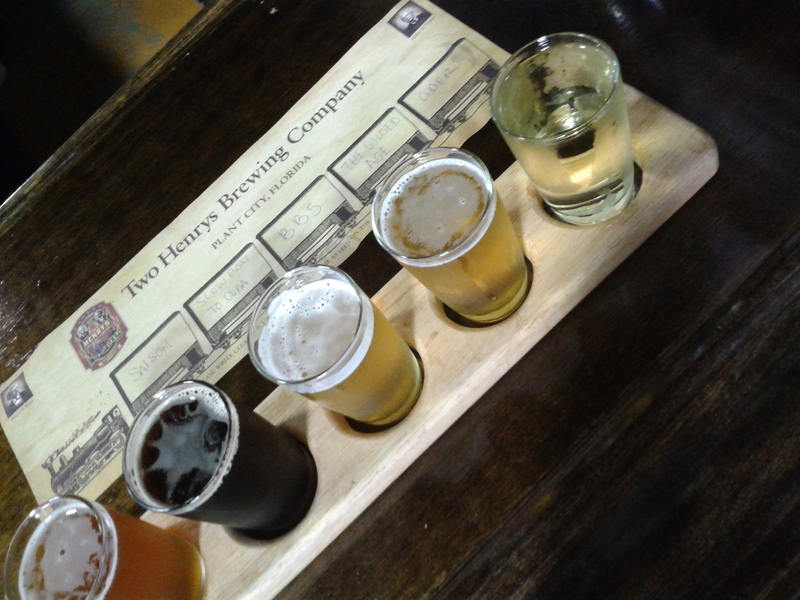 I recently purchased an Amazon Local deal for $20 that included a five beer flight at Two Henrys Brewing Company in Plant City as well as a growler (large resealable glass container) with a gallon of beer to take home. I went this last Sunday with a coworker and we had an awesome time. Two Henrys Brewing Company is owned and operated by the same owners of Keel and Curley Winery and is run on the same facility. There are two separate bars inside, one geared toward wine and one with the taps, but you can taste the beer or wine from either. The flight consisted of five separate 5 fl oz glasses, which I believe is normally priced at $7.50. There is a fairly large menu of about seven brews and their cider to choose from, but that changes seasonally. My favorite was the Slow Boat to Cuba which was a stout brewed with Cafe Bustelo. My least favorite was the cider; it tasted very earthy, almost like dirt. I ended up taking home the Saison in my growler that had notes of raspberry in it because the Slow Boat to Cuba couldn’t be bottled due to sediment, which I was very sad about. The growler, which I think was normally $17.50, is a good deal if you’re planning on taking it to a party or drinking it that day, but because it doesn’t hold carbonation it’s best to drink it as soon as possible. 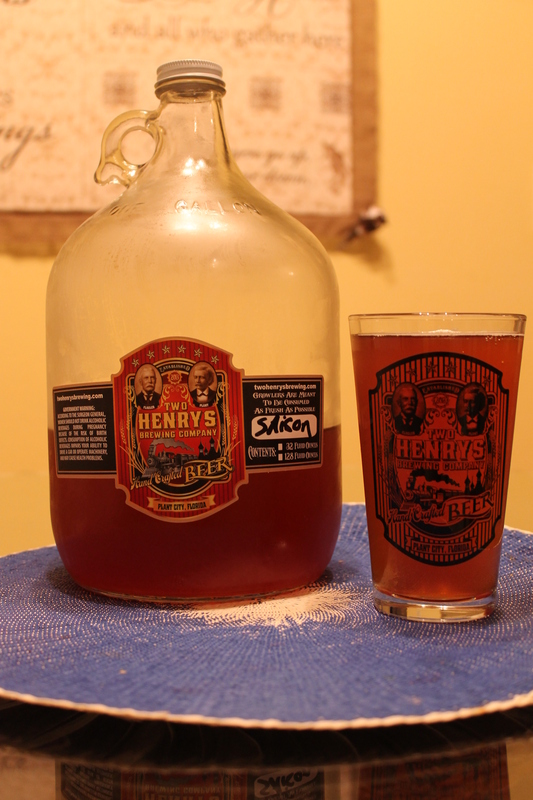 Obviously I had to get a Two Henrys glass for $2.50 to drink my Saison in, which was totally worth every penny. 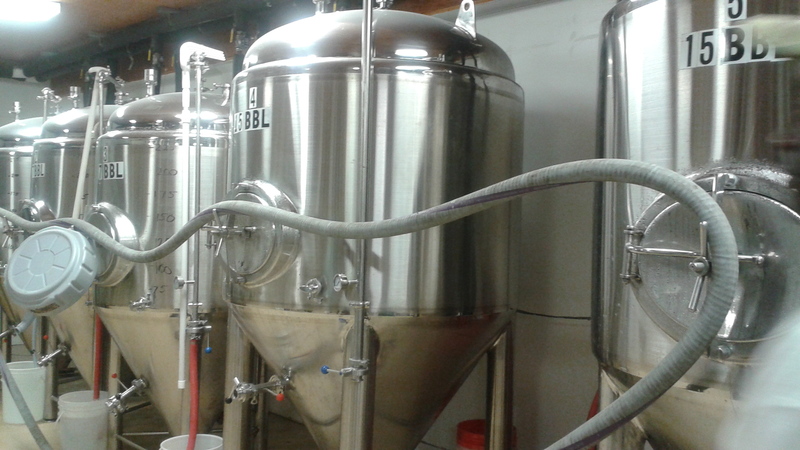 Tours of the winery and brewery are available on the hour from 1-4 p.m. on the weekends. It’s $5 and you get a little history and science lesson. The brewery is about a year old and was named after Henry M. Flagler, who helped develop the east coast of Florida with his railroads and oil industry, and Henry B. Plant, who helped develop the west coast of Florida with his railroads and hotels. Quite a few restaurants and retailers carry some of their beers (check out their website for a full listing) but our tour guide mentioned they will have a canning machine soon which will make their products much more accessible to consumers. This brew hub is definitely an up and comer to be noted and worth the try.